Based on a poll and after talking to MANY interested people, I am definitely going to be doing a specific and separate group for those of you who want to prep for your 80 Day Obsession Journey! 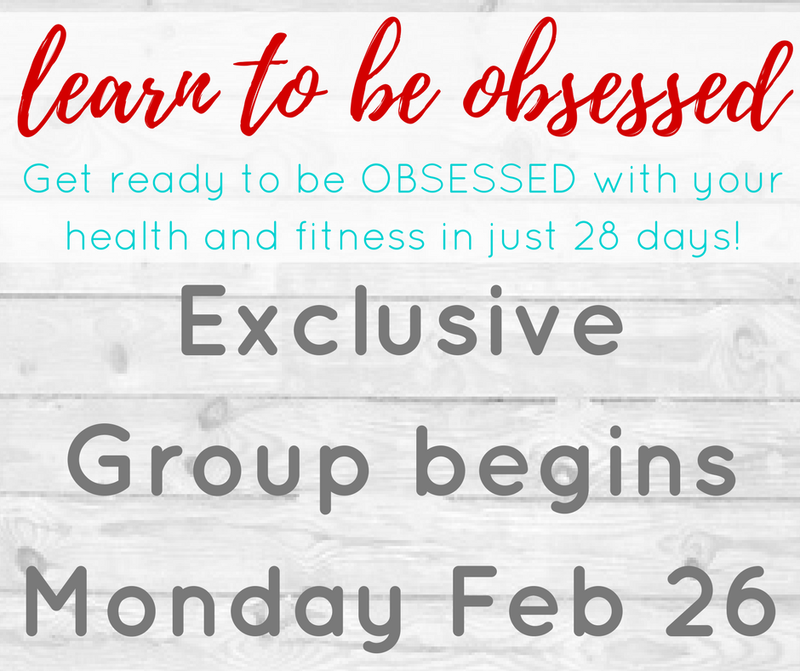 3/26- YOUR 80 DAY OBSESSION JOURNEY BEGINS!!! To be part of my Learn To Be Obsessed group you must have at least the annual membership to Beachbody on Demand with me as your coach by 2/23 (That's THIS FRIDAY!). (See below for link) That is how we access the workouts, meal plan and healthy cooking show, Fixate. By ordering on the 23rd you have 2 days to meal plan and prep for day 1 of 21 Day Fix. You will also need specific equipment for A Little Obsessed and 80 Day Obsession. You can choose to bundle the Beachbody on Demand with the equipment and supplements in the bundle kits below or purchase the equipment separately. Must order your 80 Day Obsession bundle kit or equipment by 3/10 so that they can get it to you in time for day 1 of ALO (A Little Obsessed) because you need the loops and sliders for that program. **If you choose to get just the annual membership now, and want to wait a couple weeks before you get the equipment or supplements, there is a completion bundle kit available. PLEASE MESSAGE ME HERE me for that info as I have just the full bundle kits listed below. Bundle kits: You can get any of the 80 Day Obsession bundle kits starting now but know that you might need to reorder some of the items before the end of your 80 Day Journey, if you use them during this Learn To Be Obsessed Challenge. ANY QUESTIONS??? Comment below OR MESSAGE ME!